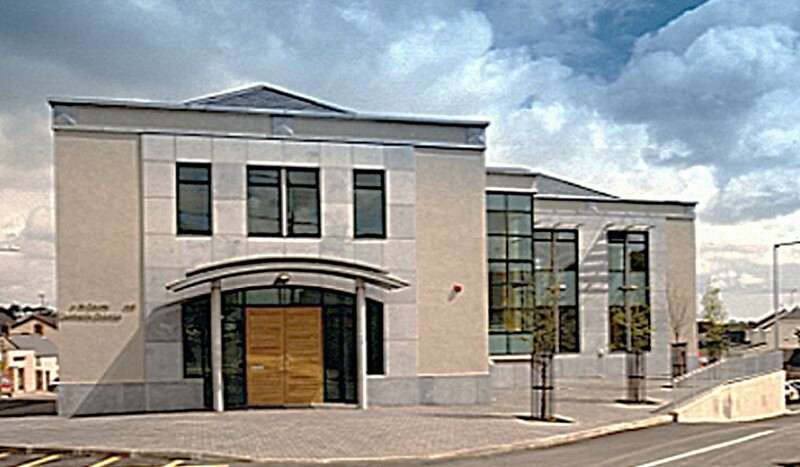 The building functions as Meath County Council’s base in the eastern section of the County. It occupies a prominent site in the centre of the village beside the church, and in civic design terms helps to enclose a central village space. 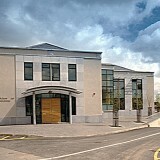 This building houses offices, public counter and display area, council meeting room and a public library. This two storey building, with a slate roof, rendered walls, with limestone detailing, utilises traditional materials, in a contemporary way. It succeeds in being a welcoming building with an element of formality befitting its function.